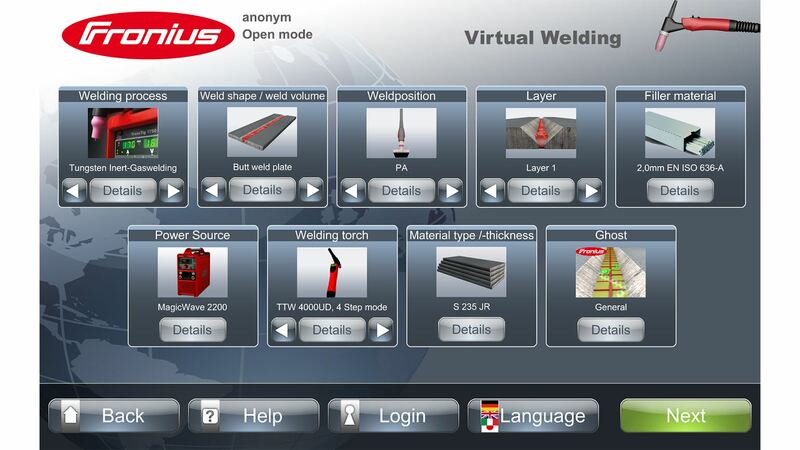 With Fronius Virtual Welding we are re-defining the standards for welder training. Using the customisable welding simulator, welding beginners and experts alike can complete training modules and learn how to weld or improve their skills effectively and safely while conserving resources. Virtual Welding gives beginners the opportunity to learn welding processes step by step in individual exercises and to gradually develop a technical feel for the correct parameter settings. Equipped with a welding torch, helmet and gloves, they perform virtual welding on a variety of workpieces without the limitations imposed by safety devices or missing welding equipment. With Virtual Welding, users not only benefit from optimally trained employees, but the virtual process also results in huge savings on materials and resources. One particular highlight of Virtual Welding is the pedagogically sophisticated points system, which allows for an objective and transparent assessment. The virtual teacher or “Ghost” guides the user through the program, emitting visual and acoustic signals to make them aware of errors and deviations. Data backup and recording of all welds using the playback function enable the trainee to view their welding again, to analyse errors and to document learning progress. This leads to success much more quickly. A reference work that can be called up at any time provides additional assistance. To make welding with the Virtual Welding simulator as true to reality as possible, the helmets can be equipped with 3D glasses as an option. The user can practise welding various weld seams in various positions using different workpieces, all in a more realistic environment. The simulator software is self-explanatory, easy to use and boasts a sophisticated design and clear menu navigation. The touchscreen makes it easy for users to select all the welding parameters. 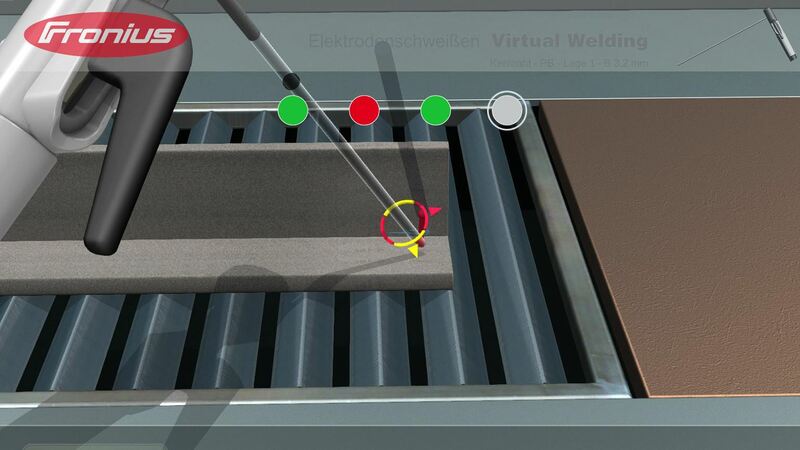 Virtual Welding is available in two variants: as a fixed terminal or as a compact carry-case for mobile use. 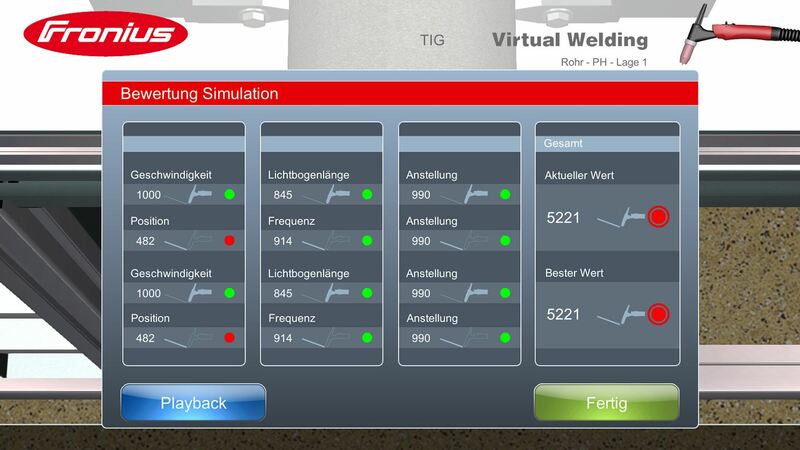 The learning model of Virtual Welding is based on the tried-and-tested sequence of welder training at Fronius, beginning with manual metal arc welding. Users then move on to all the other welding processes, including MIG/MAG and TIG. Virtual Welding Robotics from Fronius contains additional features for training future robot programmers. Thanks to the simulation platform, even inexperienced welders can get to grips with robotic welding. As after-sales and on-site services are increasingly becoming a success factor in welding technology, not only is the sound training of welding beginners particularly important to us, but also the further development of experienced welders. 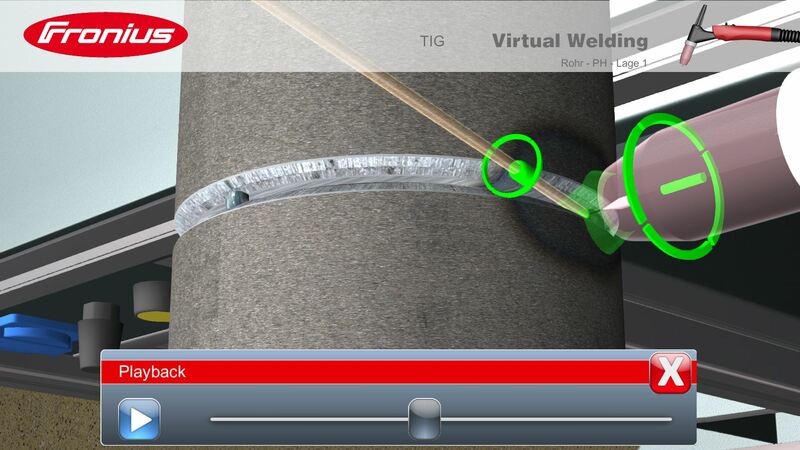 Fronius Virtual Welding can also be used for this purpose. By individually adjusting the welding simulator, experts can improve and expand their know-how through the training modules. Virtual Welding is currently available in 22 languages and this number will continue to grow.